As with most things Röyksopp do there is a multi-faceted reason behind the album’s title, ‘The Inevitable End’. While they’re keen to point out that it doesn’t mark the end of Röyksopp, they do see it as their final album. “We feel like this is a goodbye to the traditional album format,” explains Svein. “In our consecutive run of albums, we have been able to say what we want to say and do what we want to do with the LP. We’re not going to stop making music, but the album format as such, this is the last thing from us.” Having now created five complete bodies of work, the pair feel like the future is open to being more experimental with how they share their music, be it with EPs, one-off singles or something more visually focused. “With ‘Melody AM’ we felt like we established our own voice and take on electronic music. Then, with ‘The Understanding’, we wanted to move slightly off-centre and experiment more – without losing what is uniquely identified as Röyksopp. With ‘Junior’ we wanted to be a bit more extrovert, focusing on vocals and youthful energy. With ‘Senior’, we wanted to flip it around completely; instrumental, introvert and hidden,” continues Svein. “With ‘The Inevitable End’ we’ve moved into a darker subject matter, with emphasis on the lyrical content. This candid approach feels very both personal, sincere and conclusive.” “With this album it became clear we wanted to make an album in a classical sense even if it’s the last one we make,” adds Torbjørn. With a story running from the opening, fuzzy electronics of ‘Skulls’ – with its teasing “if you want to ride” mantra – to the closing, fan-dedicated ‘Thank You’, this is an album to be enjoyed from start to finish; a complete story that takes you from A to Z. So while the opening track ‘Skulls’ feels like a classic Röyksopp song – all squelchy bass lines, filtered synths and vocodered, yet soulful vocals – the album also takes in sophisticated, delicate heartbreak on the Man Without Country collaboration ‘Sordid Affair’; odd, shape-shifting ambience on the Robyn-featuring ‘Rong’; bouncing electro pop on the deceptively upbeat ‘Save Me’ (featuring regular contributor Susanne Sundfør on vocal duties) and the deliriously sad, cry-on-the-dancefloor classic, ‘I Had This Thing’, one of four collaborations with Jamie Irrepressible. In fact, as with all their albums, the importance of picking the right vocalist for each song was paramount. “We always want to find the right voice matching the specific sentiment of a track,” states Svein. “And the people we’ve been fortunate enough to work with, are people who not only possess brilliant vocal abilities individually – they also in their own unique way, bring their own universe with them,” he continues. “We are inviting them to collide their universe into ours. It’s not about having a voice for hire. We want the people we work with to feel like they can involve themselves to the fullest – it’s about finding the perfect voice for our state of mind,” adds Torbjørn. At the core of the album is this universal sense of conflicting emotions and choice; in pursuit of fulfillment, how far can you go? Should one heed one’s conscience or succumb to one’s desires – albeit the moral ramifications? And then there’s doubt and denial. And the battle between reason and desire, that’s summed up perfectly on ‘I Had This Thing’ as Jamie softly flits between the lines “I still don’t know just what I’ve done” and the emotional final mantra of “I never meant to let you go” while a cavalcade of electronic textures descends around him. But while the lyrics deal with darker themes, this isn’t a musically introspective album. This is a cohesive, fully realised electronic symphony from a pair of production geniuses constantly looking to innovate. “’Senior’, for example, is very introspective; both secret and raw production-wise. ‘The Inevitable End’, on the other hand, has a very clean and crisp production in comparison,” explains Svein. “We wanted this pristine surface to act as a contrast to the grittier subject matter that lies beneath. At first listen, one might get the impression that T.I.E is a place of solace and bliss. But if you pay attention to the lyrics, you’ll tap into the somber undercurrent running through it all – as if the music is bleeding. This is not a dance album at all. This is home listening as far as we’re concerned. It’s headphones music.” All you need do is pop them on, sit back and let Röyksopp take you into their own special world again. Am 6. 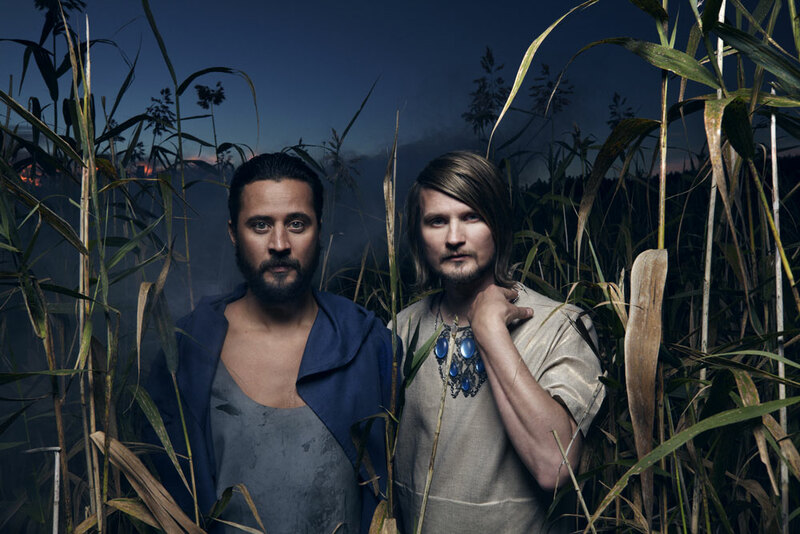 Dezember präsentiert das chartsstürmende Elektroduo Röyksopp ihre erste Single seit 2011. Nachdem sie in ihrer Heimat Norwegen auf Platz 1 der Charts landeten, wurde die Single jetzt zum weltweiten Release freigegeben. Running To The Sea featured den atemberaubenden Gesang der mit Platin ausgezeichneten norwegischen Künstlerin Susanne Sundfør und überzeugt mit bewegender Schönheit. Mit Jamie (Orchestral Pop Ensemble The Irrepressibles) konnte für den B-Seiten-Song „Something in my Heart“ – ein melancholischer Synth Hybrid-, eine einzigartig hypnotisierende Stimme gewonnen werden. “RunningTo The Sea” und “Something in my Heart” sind im Wesentlichen ein Ausdruck für den Zwang und seine Stärke, meistens unkontrollierbar in seiner anhaltenden Anziehung” so das Duo. “Abhängigkeit ist ein wiederkehrendes Thema in unserer Musik“​​, fügen sie hinzu. Röyksopp haben Künstler wie Lady Gaga, Depeche Mode, Beck und Kings of Leon neu gemixed und Texte für die zur Zeit interessantesten Künstlerinnen Skandinaviens wie Robyn, Lykke Li und Karin Dreijer- Andersson ( Fever Ray / The Knife) geschrieben. Remixe kommen u.a. von den Pachanga Boys, Late Nite Tuff Guy, Villa und Seven Lions.